T. LANDRY PARISH, La. (BP) – A 21-year-old white man is charged with arson in fires that destroyed three black Baptist churches in St. Landry Parish. 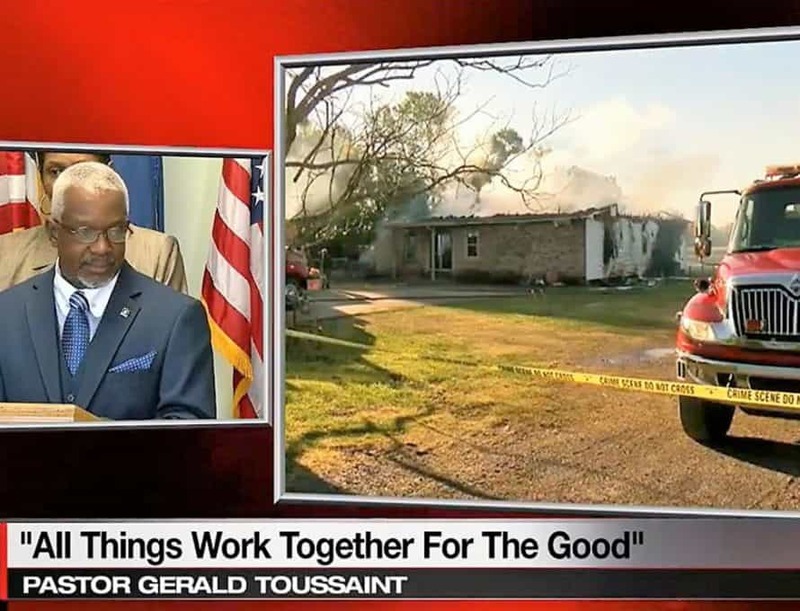 Investigators reportedly haven’t determined whether the fires were racially motivated. Holden Matthews, the son of a St. Landry Parish sheriff’s deputy, was arrested late yesterday afternoon (April 10) and charged with three counts of arson. No motive has been determined, but investigators are considering Matthews’ membership in a band that plays “black metal” music, a genre that has promoted church burnings in other countries. “We’ve suffered, but I think it has a cause, a higher cause,” Toussaint said. “Our country has to find out that the God we serve does not look on the outside; he searches the heart, and I believe the heart of these people is why we’re standing here today. “We don’t represent hate,” he said. “We represent love, togetherness, peace, long-suffering, hope. And that’s what we’re here today to say to, not just to our community, but to our country. At today’s press conference, the sacredness and perseverance of the Church, as well as its value to the community were hailed by pastors and local, state and federal officials who spoke. Each arson charge carries a maximum penalty of 15 years’ imprisonment.